Regal strikes back on Involve Records with a brand new collaboration, this time with Acid head Milton Bradley a.k.a. Alien Rain. The record is another piece of the puzzle, where the label boss continues his exploration of the Techno universe with the help of artists that inspire him. The 24th release of Involve Records sees Regal and Bradley go deep delivering hypnotic 303 basslines and hammering percussions that point directly to the dancefloor, with chopped vocals adding tension to each cut. 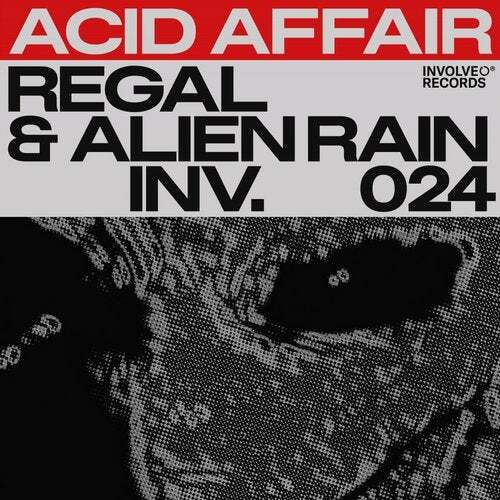 >Acid Affair< combines the best of both producers giving birth to a renewed take on Acid Techno. The two-track EP looks back to the origins of the etiquette, without missing the freshness of both artists' current sonic approach to club-focused music. One not to miss for quirky sound lovers.